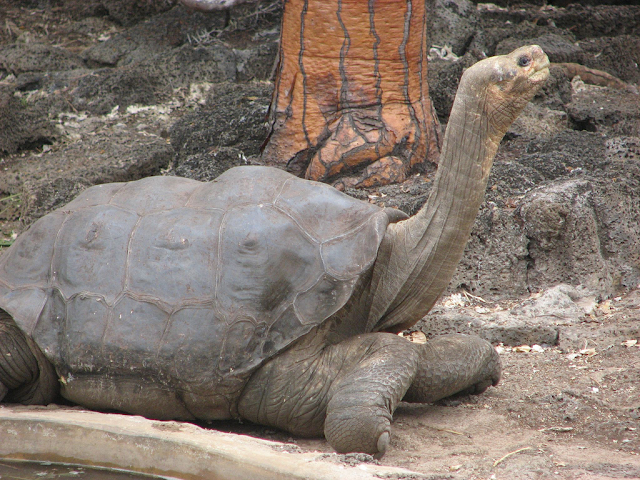 Home ANIMALS A giant turtle has been declared extinct more than 100 years ago, on the Galapagos Islands. This type of turtle, "Chelonoidis phantasticus"
The Independent newspaper reported that the Ecuadorian government had announced the discovery of the extinct tortoise. Environment Minister Marcelo Mata said on Twitter that the turtle was found during a scouting trip. This type of turtle, "Chelonoidis phantasticus", was last seen in 1906, by members of the California Academy of Sciences mission. Scientists promised this species of turtle extinct due to volcanic eruptions. Despite the absence of scientific evidence of this species of turtles, the International Union for the Conservation of Nature (IUCN) noted that Galapagos' turtles are at risk of extinction (and possibly extinct), according to a 2017 expert study. The IUCN report also reported that, in 1964, traces of cactuses were found in their native habitat, indicating their survival. At least 14 species of giant turtles have lived in the Galapagos Islands, but only 10 have survived.